Since you're now a Windows 7 user, can you check out the FileManagers of the Editor in IE8? They don't work *at all* for me. Microsoft won't let the Windows 7 people upgrade to IE8 Beta 2 either (from what I understand). So can you reproduce the issues on your box, and can you indicate whether or not this is specific to IE8 Beta 1 or just IE8 in general. I'd like to roll out the Q1 beta in some production environments but this would be a show-stopper. 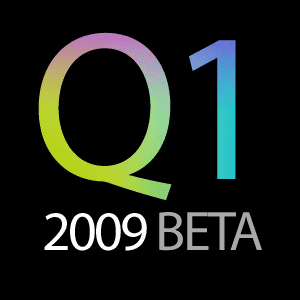 It works great in the other browsers though and I'm very excited about alot of the Q1 2009 updates. Thanks! I've tested the RadEditor dialogs in IE8 on Win7 Beta (build 7000) and I don't see any issues (including the file managers). Can you describe your scenario? I'll be happy to check it out and report back. Simple test that I'm reproducing 100% of the time. Let's move this thread to a support ticket. I tried the link you sent in Win7 IE8 (v8.0.7000.0) and FF3.1 beta 1 and I could not reproduce the errors. I get no JS warnings and all dialogs load correctly. If this is a beta install of Win7, maybe there's a problem in your environment? Not sure what else could cause this strange difference. Let's move these details to a support ticket so we can debug deeper. Sorry I can't provide more help! Thank you for the report. We are already aware of the problem and I can assure you that it will be fixed for the official Q1 2009 release.